A significant amount of researches on fault-tolerant control systems have been conducted in the past several decades [14, 15, 28]. A fault diagnosis and identification method has been proposed for nonisolated converters . The fault diagnosis and identification method can detect fault and identify faulty switch and switch fault type in less than one switching cycle. Moreover, a neuro-adaptive fault-tolerant tracking control method has been proposed in  for a class of time-delay pure-feedback systems in the presence of external disturbances and actuation faults. 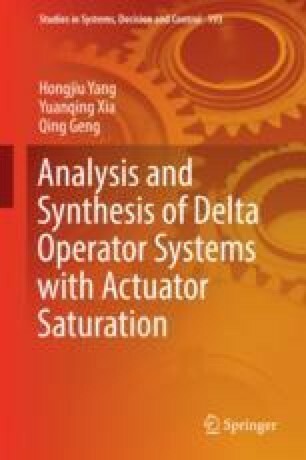 An adaptive sliding-mode-based control allocation scheme has been proposed for accommodating simultaneous actuator faults .